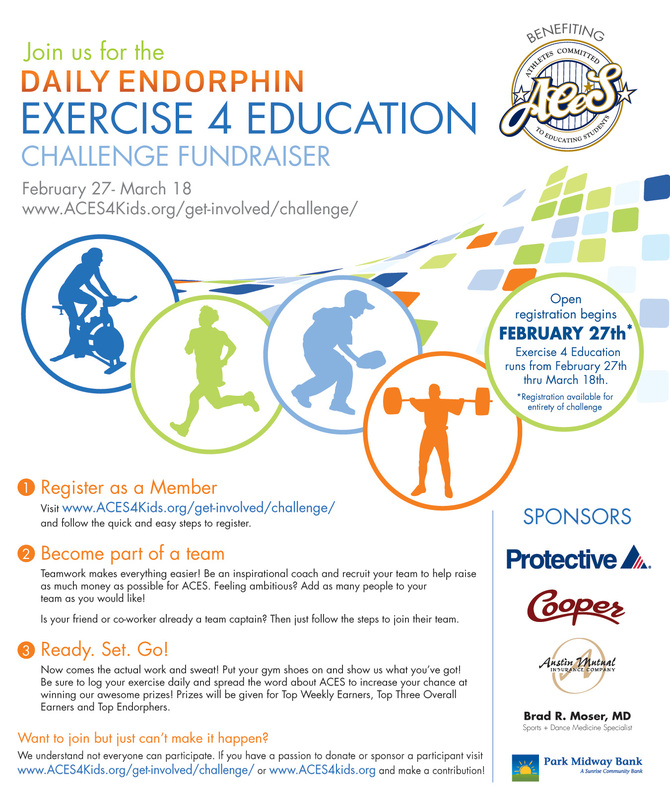 Week #1 of the 2nd annual ACES/DailyEndorphin Exercise 4 Education Exercise Challenge is in the books. Thus far as a group, we have raised $5,933, exercised over 23,000 minutes, and burned over 226,000 calories for ACES. Nicely done everyone! Let’s keep it going for 2 more weeks through Sunday, March 18th and then wrap things up at the prize party at Cooper’s Irish Pub in St. Louis Park on Tuesday evening, March 20th. Also, for those who still want to participate in the challenge or donate (or both), there’s still time. Go here for full details. It takes less than a few minutes to do either. *Team totals are averaged over the number of team members.